Baguette Diamond Eternity Ring set in a two row “brickwork” pattern made to commission in platinum or 18ct yellow gold. 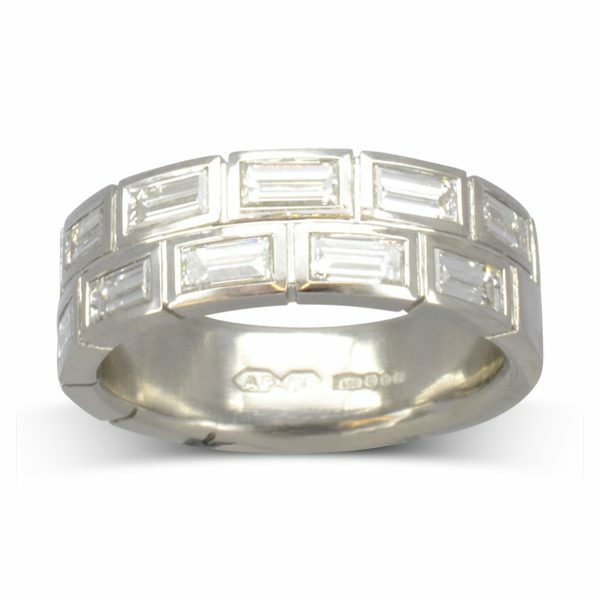 The 1ct version is 5mm wide and incorporates 20 3mm x 1.5mm baguette diamonds weighing approximately 1ct. 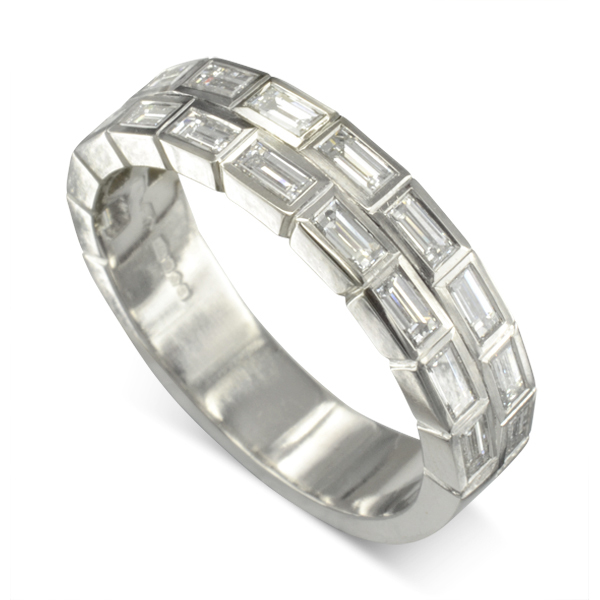 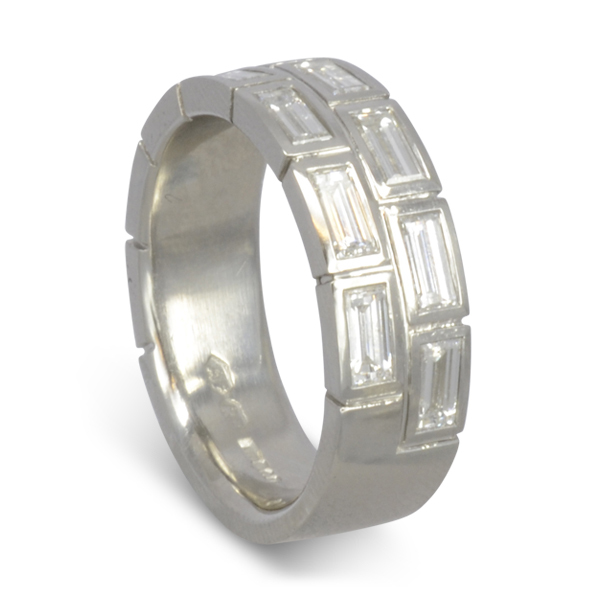 The 2ct version is 8mm wide with approximately 16 4 x 2mm baguette diamonds.